Meghalaya, known for its clouds and rainfall is a tiny state in the North East India sandwiched between Assam and Bangladesh. Also known as the “Abode of Clouds”, the state has plenty to offer to an avid traveler. The undulating mountains, living root bridges, spectacular crystal-clear lakes, meandering rivers, dense verdant forests, gorgeous waterfalls, quaint caves, exotic flora and fauna - all of these makes Meghalaya look like straight out of a fairy tale. 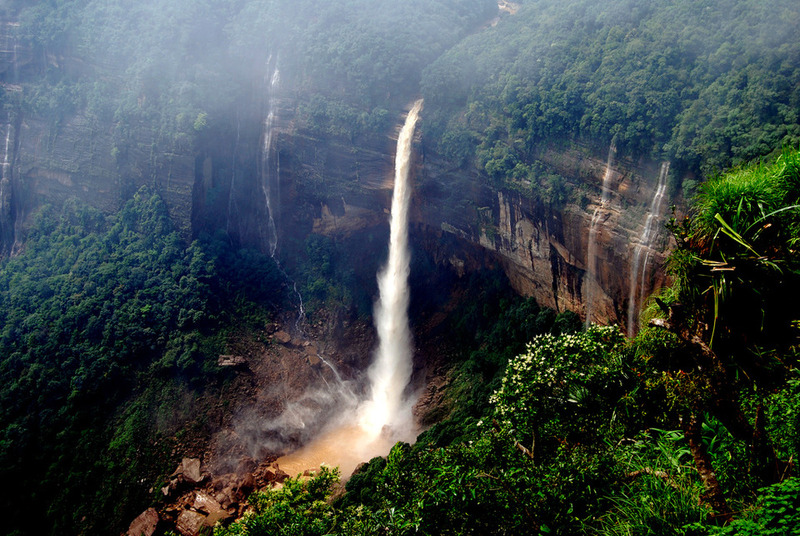 We would be taking you to some of the least explored and fascinating territories of Meghalaya. - Hike to the Double Decker Living Root Bridge. A climb down of about 3000 steps, approx. 3 km walk, descend of about 2500 feet into the valley takes to reach the village. 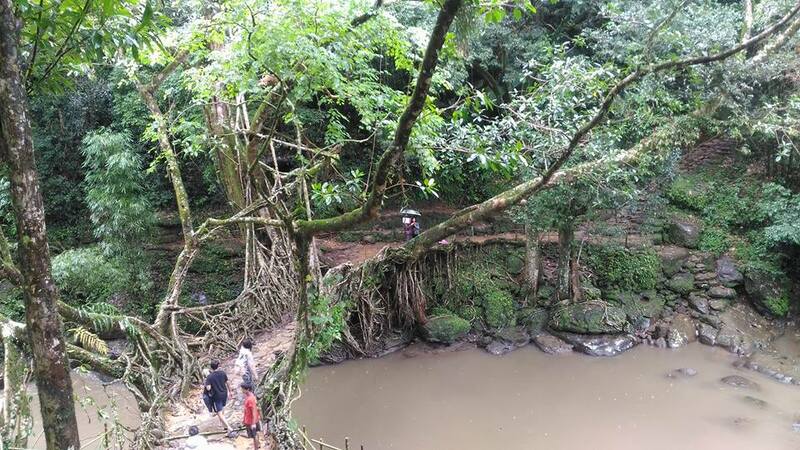 A sight to behold, the Living Root Bridges are tangles of the roots of the Ficus Elastica tree which are knit to form a bridge between the streams/rivers. 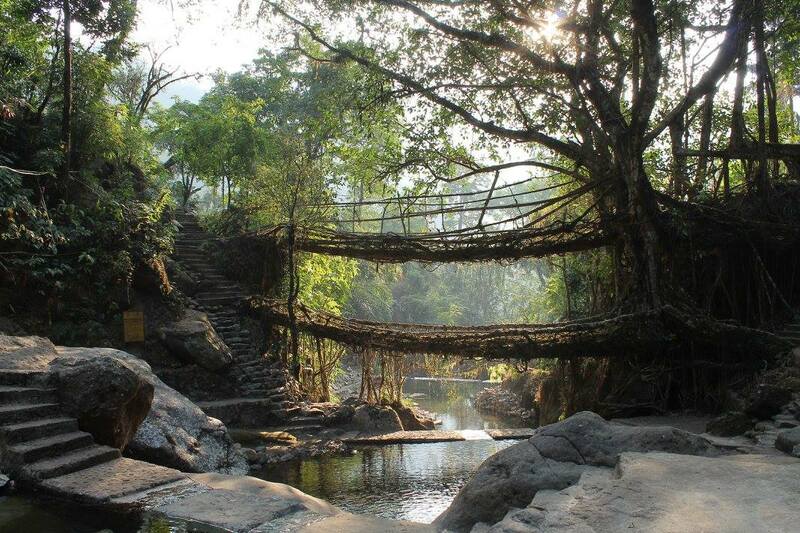 In the earlier days, when the rivers/streams were flooded during monsoon, the tribal's of Meghalaya created this bio-engineering marvel to commute between the villages. It takes about 15-20 years for the living root bridge to get thick and can support even 50 people at a time. It keeps gaining strength as it keeps growing thicker and thicker. - Caving at a limestone cave surrounded by the dense forest. The staircase to the caves leads to a mystical world of stalactites and sea fossil formations and possesses large passage making it easy to walk through. - Explore the villages on foot. 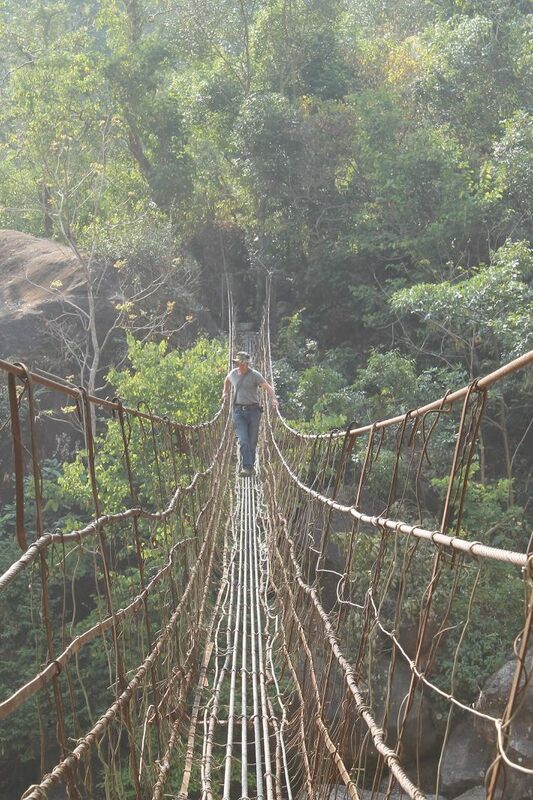 Also hike to some of the remote root bridges arounf Pynursla. - Visit Mawlynnong, Asia’s Cleanest Village. Walk through the pathways of the village, admiring the beauty of the village and its maintenance. We would be ascending the Sky Walk to have a glimpse of the plains of Bangladesh. We can also walk sown to the pool in the evening and have a swim. - Visit a tiny village in Jaintia Hills which is home to War Jaintia Tribe close to the Bangladesh Border. 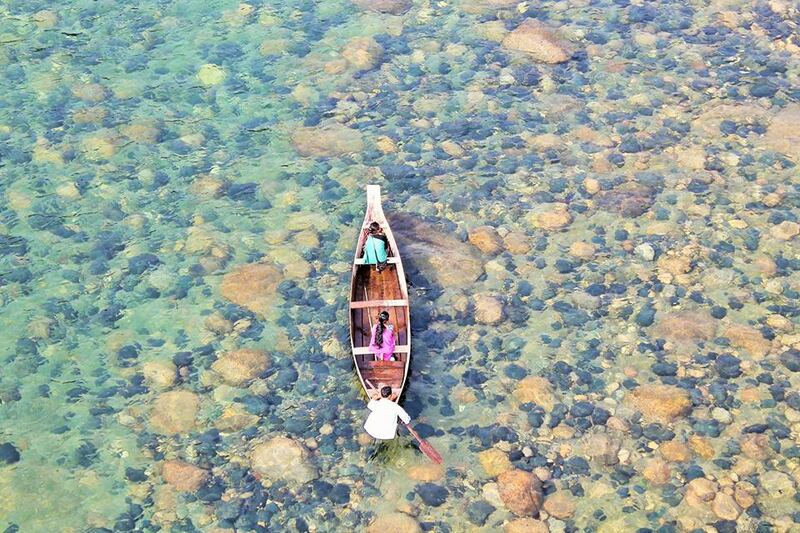 Take a boat ride in the crystal clear waters of Umngot River. Options of zip-lining, kayaking, cliff jumping are also available (at extra cost). 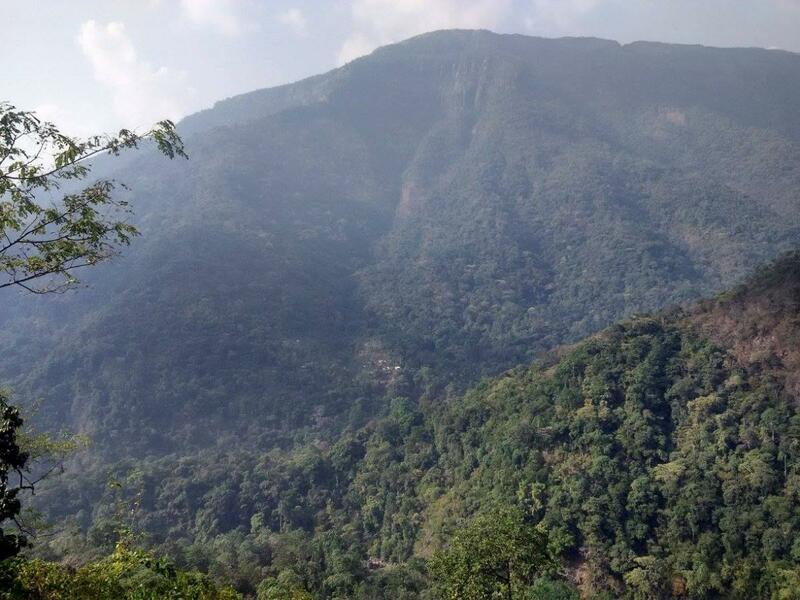 - Trek in Mawphlang Sacred Forest. Walk through the dense Sacred Forest which is believed to be over 1000 years old. An ideal destination for nature enthusiasts, the forest has many medicinal plants and trees, orchids, ferns and butterflies. - Visit Laitlum Canyons where we are greeted with the 180 degree majestic view of the grassy valleys and tiny hamlet called Rasong, which lies deep below the sheer gorge amidst nature’s lust greenery grandeur in all its beauty. You also find a river flowing through it. Pls ensure that you arrive before 10:00 am on the Start Date and book your return ticket for your train / flight after 03:00 pm on the End Date. INR 19000 per person for the entire trip. These rates are for Indian Nationals only.  The trip will have a maximum of 14 members (13 participants + 01 facilitator). Pls invite your friends to join.  Minimum of 6 participants required to conduct the trip. Please do check with us before booking your air tickets.  Suitable for members between the age group of 16-55 years. We do take members above 55 years too based on their physical fitness. Please confirm your participation by paying INR 5000 (Non-refundable Booking Fee**) to book your seat. Rest to be paid 30 days before the tour start date.  Comfy stay on double/triple sharing basis in Home-stays / Guesthouses.  Meal starts with Dinner on 1st Day and ends with the Breakfast on the 7th Day, as mentioned in the Itinerary.  All transfers / sightseeing trips by a Tempo Traveler or a similar vehicle. Exclusive vehicle for the entire trip from Day 1 to Day 7, but not at disposal.  Guide charges, wherever required.  Additional cost arising due to mishaps, political unrest, natural calamities like – landslides, road blockage, etc. In such case extra will have to be paid on the spot by the guests directly.  Personal expenses such as laundry, room heater charges, bottled water, soft drinks, incidentals, porter charges, tips, medicines, etc.  Any item not specified in the ‘Inclusions’. Pls call / WhatsApp at 9052220466 or email: unusualescapes@gmail.com for more information.